Flowers have always been a popular theme for Worcester Ware, with their Cranberry rose design a big seller for the more traditional customer during the 1950s. The range consisted of the most popular named tins of the day with cereal and rice supplementing the usual sugar, coffee, tea and flour. Produced in five sizes which can nestle together, it was not unusual for some of them to be produced in a couple of sizes. 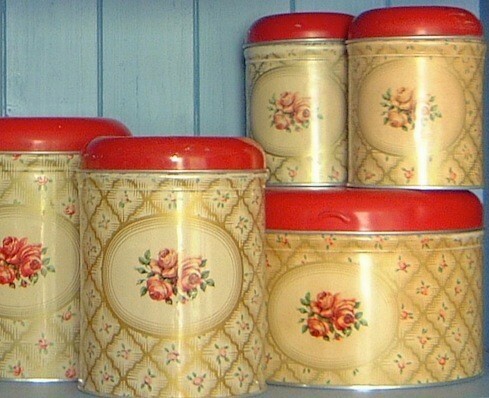 Unlike the plain and patterned ranges, Cranbourne names were embossed onto the lids of the canister and tins. The rarest of the Cranbourne range appears to be the little spice canisters. But like some of the other ranges the canisters could be bought in sets - some on a purpose-made shelf unit that could be fixed to the wall. 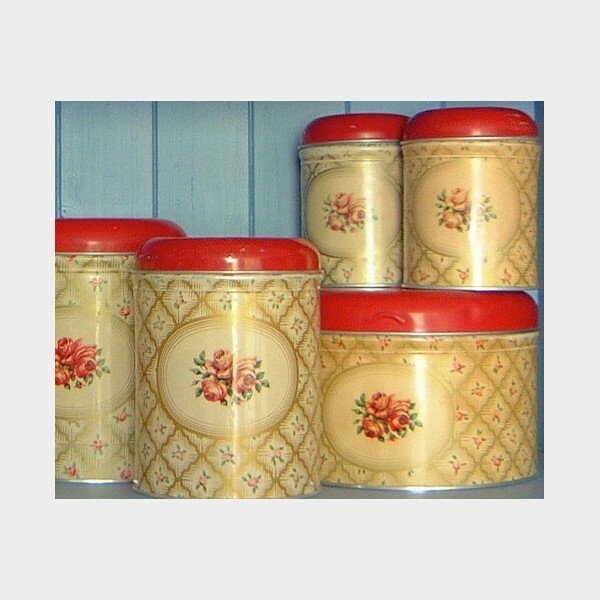 The cake and biscuit tin duos and trios were slightly shallower than the cake tins with the hinged lid, and were designed to slide gracefully into the shelf units.